Garmondeh Banwon is a member of the Jogbahn community in Grand Bassa County, Liberia. He has lived here all his life, along with his family. Garmondeh’s family live surrounded by lush green forest, the ground underneath teeming with minerals and natural resources. For many, what’s underneath the land is more important than the cassava and plantains that grow on it. A woman of the Jogbahn community walks through the village. 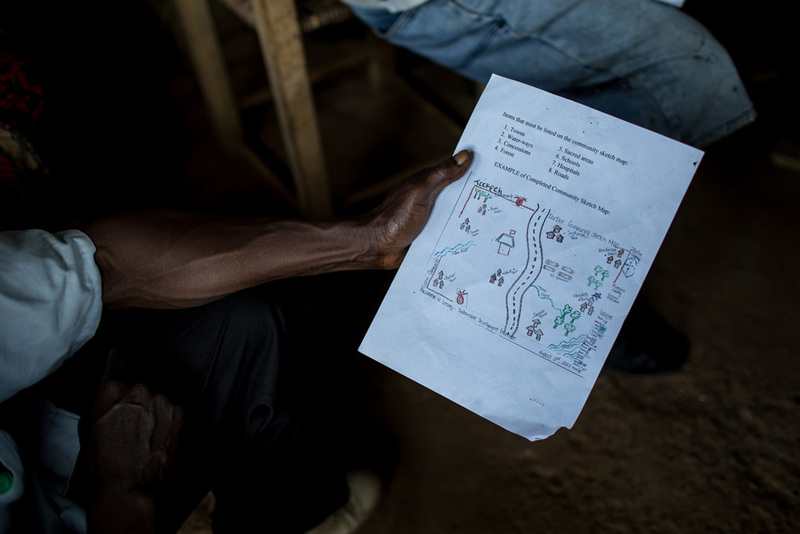 One day, in 2013, Garmondeh and his community woke up to bulldozers, tractors, and heavy machinery moving in to their village. A large corporation had bought the rights to extract from the land their community was built on, in order to collect palm oil. 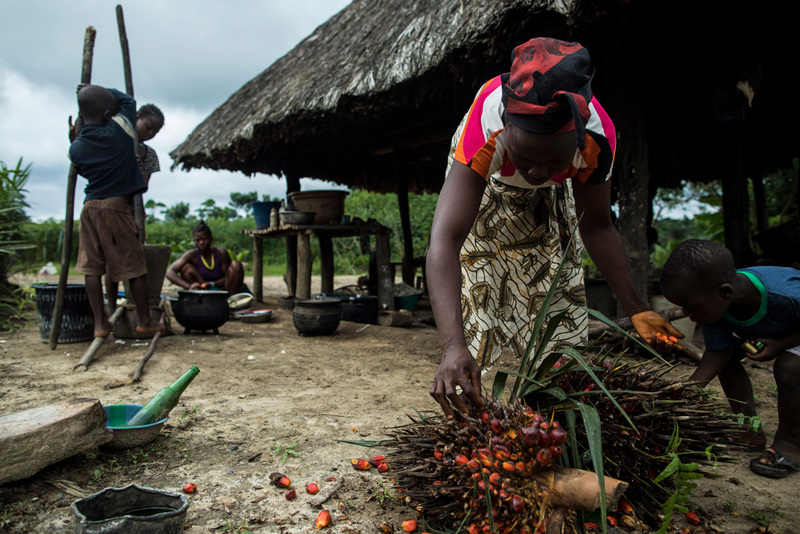 The surrounding region, right up to the village border, had palm oil plantations in the past, but never in Garmondeh’s village. The government told them that the land had been bought long ago — but Garmondeh didn’t believe it. Villagers in the Jogbahn community make food from the crops they grow. Liberia does not have a formal land rights policy yet, and negotiations about land are frequently done on an ad-hoc, secretive basis. In some cases, village elders may negotiate on behalf of the village; in others, deals may be cut between government officials and companies without taking into account the history or community of the land. In Jogbahn, the community did not know their rights. Their land was being taken, and they did not know how to fix it — or how to protect their territory and livelihood. “This land is very important to me. 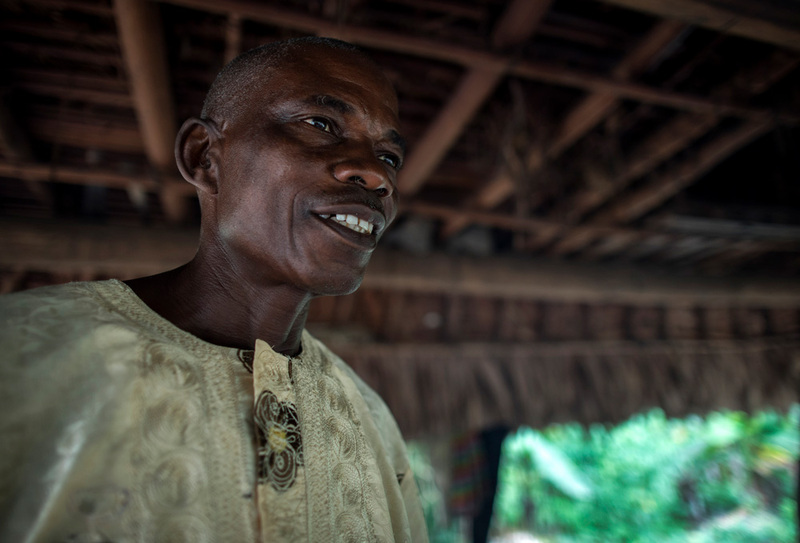 The food from this soil – I feed my children with it,” says Garmondeh. 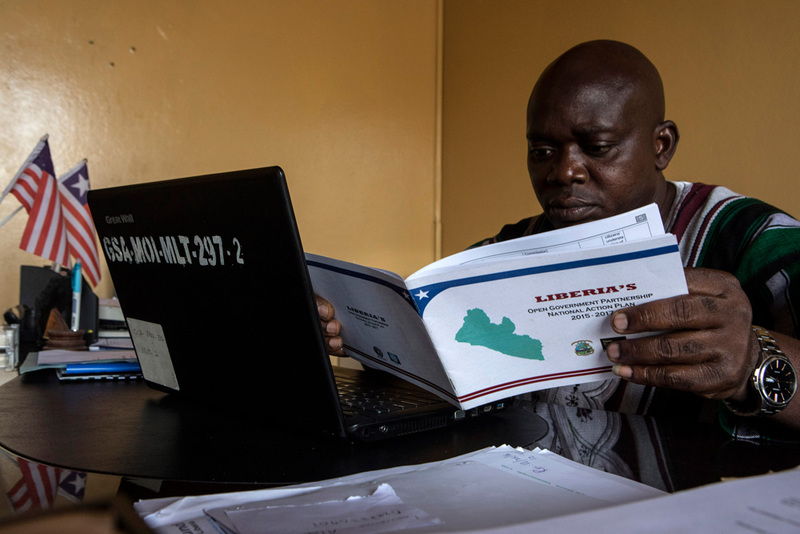 As part of its Open Government Partnership (OGP) commitments, Liberia’s government agreed to publish concessions information online, as well as to pass a formal Land Rights Act. This information shows what land belongs to whom — and flags where concessions and villages overlap. By showing that competing information, communities can use it to show that their land is theirs — and that they have the rights to the resources. The Sustainable Development Institute, a grassroots organization in Monrovia, came in to help the community keep their land. They organized meetings to help the community map their land and show how its inhabitants used it. They showed the community how to organize to defend itself against these large companies that wanted to use their land. They showed the importance of inclusion in the mapping process, ensuring that the women of the community took part in the process and included spaces on the map that would not otherwise have been registered. The Jogbahn community succeeded. After a series of conversations and negotiations, as well as formal complaints filed against the mining company, the community was able to hold onto its land and secure its livelihood. In 2016, the Jogbahn community signed a memorandum of understanding with the government and the company, ensuring autonomy and the preservation of their rights to the land. The fight is far from over. 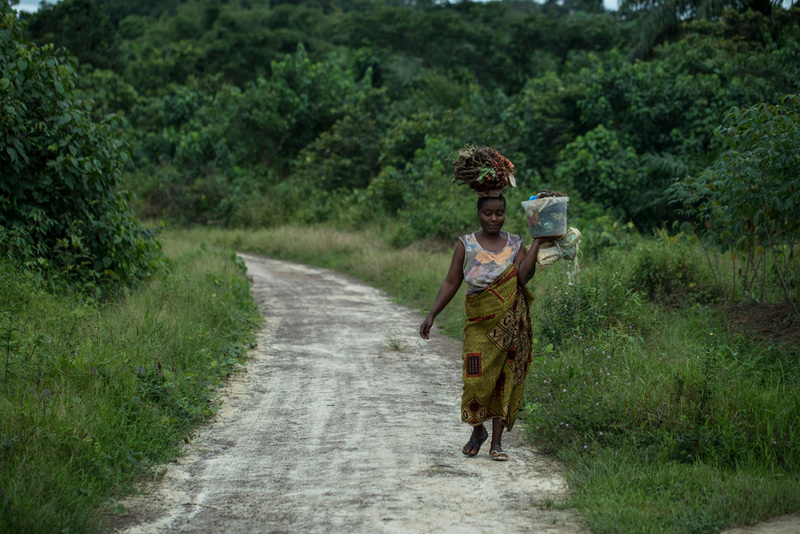 Liberia’s legislature has yet to pass a formal Land Rights Act, having been delayed for five years. 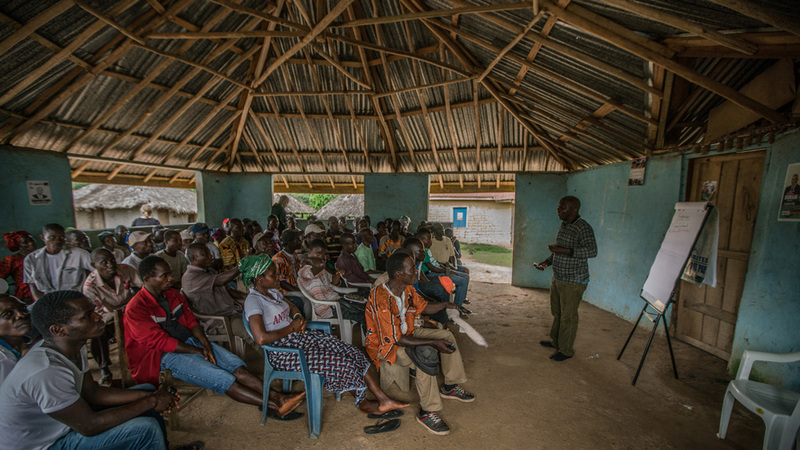 But through the hard work of communities like the Jogbahn and organizations like the Sustainable Development Institute, the fight for land rights is inching along — and OGP is helping it get there. Andrew Tehmeh, a former government official, reviews Liberia’s OGP action plan. James Otto, a representative from the Sustainable Development Institute, works with Jogbahn residents to show them how to work with government and civil society to lobby for and keep rights to their land. Members of the Jogbahn community work with the Sustainable Development Institute to map their village. Garmondeh Bagwon, an elder in the Jogbahn community.